The tenor saxophone in C, or C-melody sax, is a non transposing musical wind instrument whose tessitura is between tenor and alto saxophones. This instrument, played by Rudy Wiedoeft and by Jascha Gurewich knew its time of glory in the 1910s in 1930s. It was mainly made in the United States by Conn, Buescher, Holton, Martin and King (sometimes under different "stencils" names), but did not survive the economic crisis of 1929. Only the American craftsman Jim Schmidt proposes a modern model (endowed with very peculiar key system). A New Zealand firm also began making modern C-melodys in China (Conn's copies) since 2007. The C-melody, in the key of C, plays an octave below written notes (as the tenor singer). On vintage models, it can play from low Bb up to high F. The logic of Its popularity was probably simply to allow the amateur saxophonists (very numerous in the United States between 1920-1929) to play directly on the written scores in C (for piano, voice, violin etc.). Because of this commercial success, it is paradoxically quite easy to find a vintage model, but unfortunately, most are not in playing shape. Naïma by John Coltrane, played by the 4tet «40 after JC» in 2007. Two types of necks are existing. 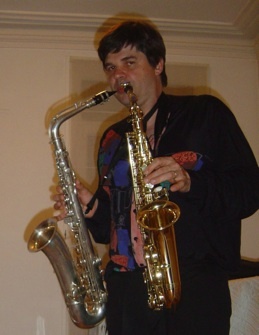 Most are built with a swan-like neck (as the stencil made by Martin of the photo at the top of the page), and are thus similar to the shape of a small tenor saxophone. However, its tone is more similar to a viola " stretched out" alto because of the small diameter of the tube. 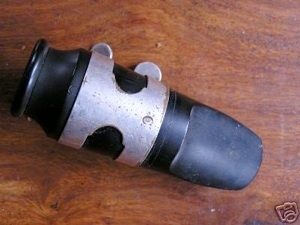 The other (even rarer) shape, mainly Conn models (as on above picture), show a right angle, which makes them similar to a big alto saxophone, the tone of which would have tenor's accents (their tube is wider). 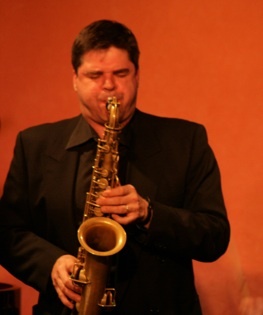 The biggest problem with which saxophonists who want to play an old saxophone C-melody are confronted, is the difficulty in finding a mouthpiece and reeds adapted to the sax. The old ebonite mouthpieces are often out-of-service, since this material is supposed to last no more than 10 years. Furthermore, the musicians of that time prefered to use very closed mouthpieces according to current criteria. Very few manufacturers propose a range of modern tenor's mouthpieces tuned in C today. 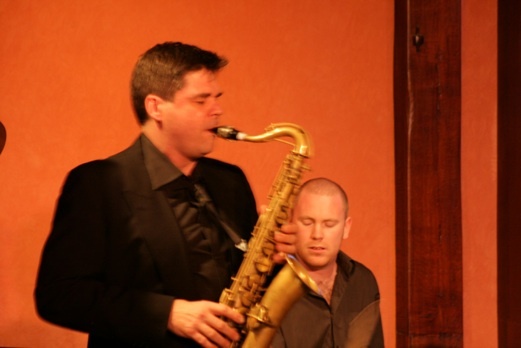 It explains certainly why some musicians prefer to adapt their favourite alto or Bb tenor mouthpiece to these saxes. But if we consider that distorting the proportions of the tube will alter the efficiency of the instrument, it probably explains that even today these saxophones have the reputation of being badly tuned. Played with period or specific modern mouthpieces, the C-melody tenor has quite a correct tuning, comparable to other period instruments, and proposes a tone of a particular smoothness. C-melody concert version realized in Reims. Every musical sentence is played seven times. Six times it contains wrong notes, rhythm errors, mistakes of any kind, once everything is correct. 1st question: do you hear the mistakes ? 2nd question: do you prefer the correct version or the incorrect version(s) ?